There must be a least one Marine in good standing – Former, retired, reserve or active duty who is willing to serve as the Unit Commander. A sufficient number of volunteers must be recruited to handle the training and supervision of your Young Marines. A minimum of three registered adults is required to start the unit. At least one of your Registered Adult Volunteers must be a female. There must be an adequate facility to host your unit meetings. The facility must offer a safe, clean and hospitable atmosphere for your youth and adult volunteers. All adult volunteers and Young Marines must be registered with the Young Marines National Headquarters. A: The Young Marines is a not-for-profit 501(c)3 youth education and service program for boys and girls ages 8 through high school. Young Marines are organized into local units located in nearly every state in the United States. A: No. The youths do NOT attend a "military-style" resident program. This is not a program where you send your children for an extended period. On average, units meet once or twice per week year round. Q: How many Young Marine units are there? A: There are over 300 Young Marines units nationwide, including international units and affiliates in Okinawa, Japan, Germany, and Australia. To find the unit nearest you, visit our Find A Unit link above. Q: Who runs the local Young Marines units? A: Each Young Marines unit is a independent community-based program lead by registered adult volunteers. 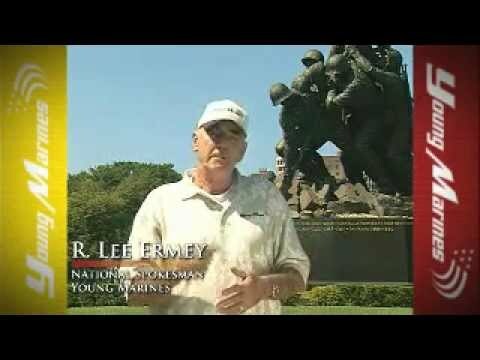 Many of these volunteers are former, retired, active duty, or reserve Marines who believe passionately that the values they learned as Marines had a positive affect on them. They volunteer their time and make every effort to pass positive values on to those under their charge before other destructive influences take root. New volunteers are always welcome to apply, regardless of whether or not they have a background in the Armed Forces. A: To learn more about enrollment dates, unit dues, unit activities, meeting times/locations, etc., contact the unit nearest you directly. To find the unit nearest you, click the Find A Unit link above. The contact person/volunteer at that unit can let you know more about their local unit and tell you more about how your child can participate. A: The cost varies from unit to unit depending on the location and economy. Using the Find A Unit link above you can contact the unit closest to you and inquire as to the costs. A: While there must be at least one Marine in good standing – Former, retired, reserve or active duty who serves as the Unit Commander, volunteers are always welcome to apply, regardless of whether or not they have a background in the Armed Forces. Q: I would like to volunteer but there is no unit in my area. How do I get involved? A: If you would like to volunteer but after visiting our unit locator, you have determined that there is no unit in your area, you may consider starting a new Young Marine unit. Learn more about starting a new unit by clicking on the Start a Unit link above. Q: Can I donate to the Young Marines? A: You can help us in our effort of strengthening the lives of America's youth by making a donation through our secure server. It's fast and easy and when we receive your donation, we will send you an acknowledgement email for tax purposes. Click on the Donate link above. Q: Can I donate to a local unit? A: If you are interested in supporting a Young Marines unit in your community, please contact the unit directly. You can find your nearest unit by clicking on the Find A Unit link above.